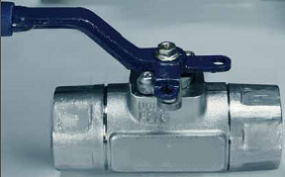 A typical photo of cast steel floating ball valve. 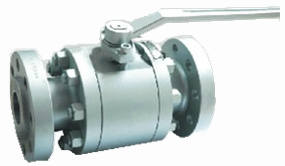 Cast steel floating ball valves refer to floating ball valves that have cast steel valve body. 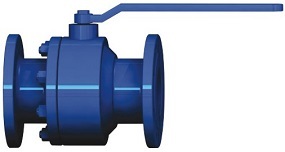 These valves are mainly designed for low pressure services with a flexible temperature range. Metals Valve provides a wide variety of this series of ball valves manufactured to API, ASME, DIN, JIS and NOSOK standards. They are usually furnished with flanged end connection. 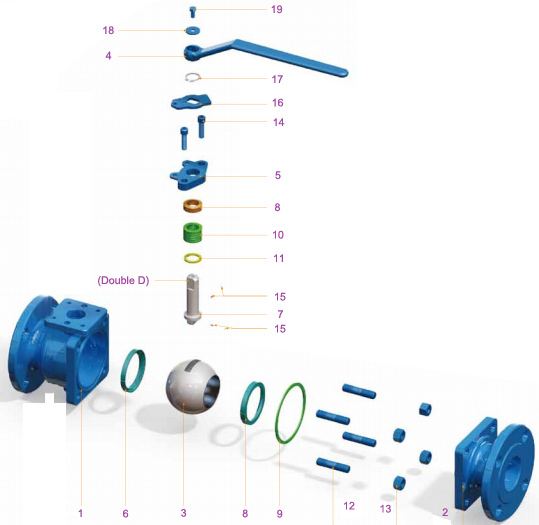 Due to the low pressure ratings and small sizes, the torque to open or close the valve is not big hence manual operation(either lever or gear) is applied. 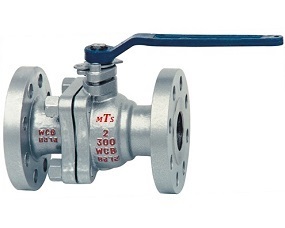 Generally speaking, the cast steel floating ball valve is mainly used for on-off applications as well as minor throttling purpose. Floating type ball, cast steel, split body(two piece or three piece) / uni-body(one piece, integral). Side entry, end entry or top entry, full port(full bore) / reduced port(reduced bore), RF, RTJ or BW. Lever or gear operated, fire safe design, blow-out proof stem, low emission control and anti-static. Size range: 1/2″(DN15) to 12″(DN300); Pressure ratings: Class 150 ~ Class 300(PN16 ~ PN40). See the weight & dimension specifications for cast steel floating ball valves manufactured with two-piece split body: Class 150 and Class 300. The 3D explosive view of cast floating ball valve, 2 piece body, side entry. 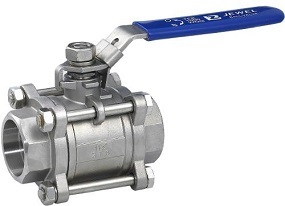 According to the industrial applications to which the cast floating ball valve is applied, the body and trims can be selected from a variety of materials.